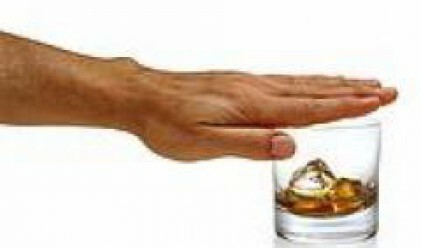 In terms of pure alcohol consumption Bulgarians and Germans rank first in Europe, Dr. Walter Farke of the German Centre for Addiction Issues (DHS) said. He was speaking at a conference titled "European alcohol policies" held Monday at Sofia's Radisson SAS hotel, BTA reported. Twenty-three million people in Europe are addicted to alcohol, which means that European drink twofold more than the rest of the world, Farke pointed out. According to data from an EC commissioned report titled "Alcohol in Europe", the EU is the heaviest drinking region of the world. Based on a review of existing studies, the total tangible cost of alcohol to EU society in 2003 was estimated to be 125,000 million euro, equivalent to 1.3per cent of GDP, which is roughly the same value as that found recently for tobacco. Alcohol is responsible for about 12%\per cent of male and 2 per cent of female premature death and disability, after accounting for health benefits. This makes alcohol the third highest of twenty-six risk factors for ill-health in the EU, ahead of overweight/obesity and behind only tobacco and high blood pressure, Ruth Ruiz of the European Alcohol Policy Alliance Eurocare said. The conference in Sofia aims to seek opportunities to develop a network of Bulgarian governmental and nongovernmental organizations, representatives of business, etc. that could contribute to the introduction and maintenance of effective policies to reduce the damages caused by alcohol, said Nikolai Tomov of the organizer of the event, Horizons 21 foundation.